Where we'll be watching fake bands and real robots this week. 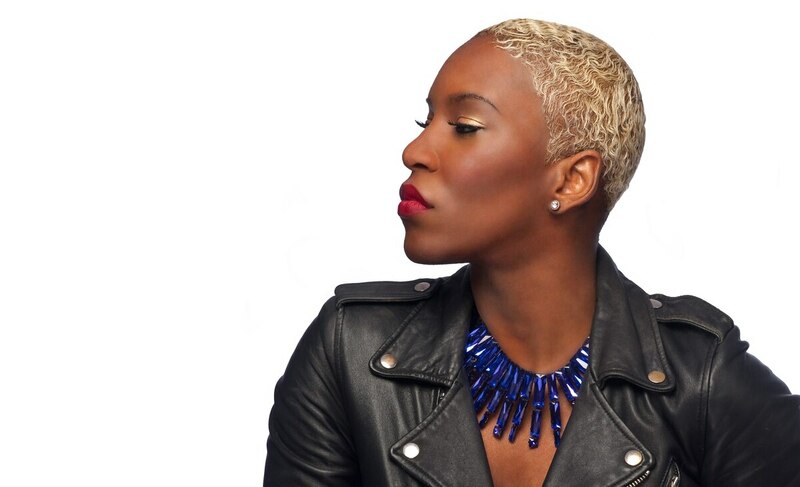 Liv Warfield IMAGE: Chris Ottaunick. Some of the most prominent contemporary writers of fiction, nonfiction and poetry read selections from their work. The lineup on the fourth day includes Post Wounded Woman author Catherine Lacey and a lecture about why women writers shouldn't worry about being likable. Reed College, 3203 SE Woodstock Blvd., tinhouse.com. Through July 14. Free. 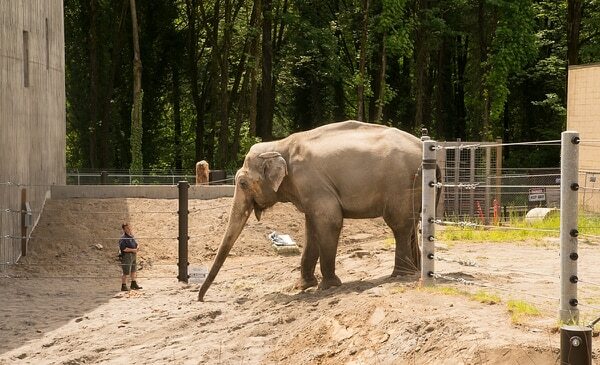 At the Oregon Zoo's summer happy hour series, you can sip cocktails, pet tiny goats, and see the Wildlife Live bird show at the amphitheater—all in an adults-only setting. Oregon Zoo, 4001 SW Canyon Road, oregonzoo.org. 5 pm. $24.95-$175. 21+. Hundreds camp out in Canby every year to watch 20-plus tribute bands live out their rock-star fantasies at Harefest. It's crazy, but…also kind of awesome? On day one, you can rock out to approximations of Bowie, Zeppelin, Styx and Journey. Pat's Acres Racing Complex, 6255 S Arndt Road NE, Canby, harefest.com. Through July 14. $60-$175. All ages. Despite the vastness of comedy in this city, Portland is a standup town. But the annual Sketchfest provides a platform for local sketch comedy and imports plenty of groups as well. On the first night alone, there will be performers from Toronto, New York and Austin. Siren Theater, 315 NW Davis St., sirentheater.com. 6:30 pm. Through July 14. $12-$100. 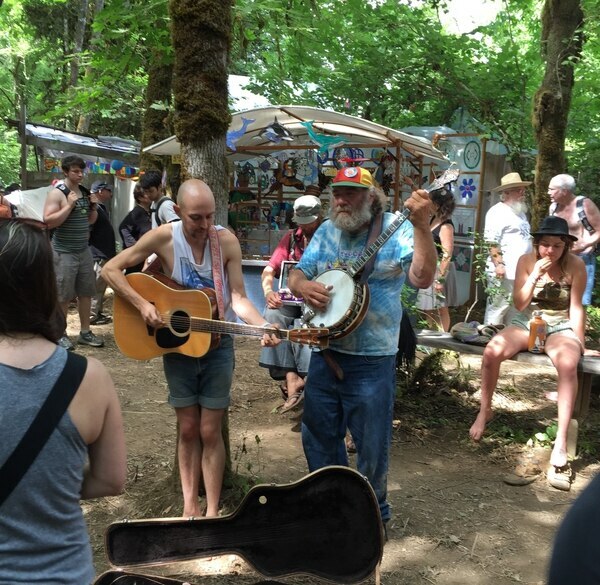 Escape the hustle and bustle of city life to Eugene's Oregon Country Fair, our yearly celebration of all things crunchy. Oregon Country Fair, 24207 OR-126, Veneta, Ore., oregoncountryfair.org. Through July 15. $25+. All ages. On this year's The Louder I Call, the Faster It Runs, Wye Oak's indie folk has blossomed into bright, intricate and sublime synth rock. It would almost be unrecognizable from their 2011 breakout Civilian if it weren't for Jenn Wasner's cool, smoky voice. Revolution Hall, 1300 SE Stark St., revolutionhall.com. 8 pm. $20 advance, $22 day of show. All ages. From the Terminator to HAL 9000, movies tend to give technology a bad rep. The Robot Film Festival aims to cultivate a much friendlier image of bots with short films and robotics demonstrations. Mission Theater, 1624 NW Glisan St., mcmenamins.com/mission-theater. 4 pm. $15. Control Yourself was Portland's longest-running standup showcase, until producer and host JoAnn Schinderle moved to L.A. earlier this year. Now, Schinderle is bringing the show back for a one-off reunion with an epic local lineup. Clinton Street Theater, 2522 SE Clinton St., cstpdx.com. 8 pm. $15. 18+. IMAGE: Courtesy of Liv Warfield. 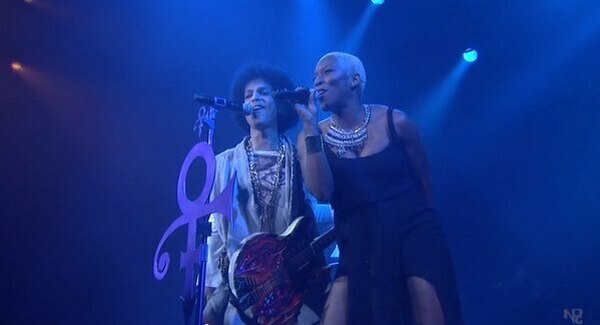 In 2009, Liv Warfield went from struggling Portland singer to an international soul queen when she was discovered by Prince, who hired her as a backup singer, produced her album and became her mentor. She's stopping in her former hometown for a three-night stint. Jack London Revue, 529 SW 4th Ave., jacklondonrevue.com. 9 pm. Starts July 13. $25. 21+. In Jim Henson's most alt children's movie, a teenage Jennifer Connelly transverses a farting bog to save her infant brother from David Bowie, who rocks a glam mullet and a very, very tight leotard. Academy Theater, 7818 SE Stark St., academytheaterpdx.com. Showtimes vary. $4. This new documentary focuses on "The Crest" in D.C., an '80s utopia where skaters and punk bands came together to shred metal. Director Mike Maniglia attends the screening. Hollywood Theatre, 4122 NE Sandy Blvd., hollywoodtheatre.com. 7:30 pm. $9. Surf Curse's gnarly music sounds lifted straight, musically and lyrically, from the '90s. The Reno, Nev., duo's lo-fi surf punk is packed with references to the likes of The X-Files and Twin Peaks. Paris Theatre, 6 SW 3rd Ave., theparispdx.com. 6 pm. $12 advance, $14 day of show. All ages.